The Air Filter Testing Machines support of experts in the field of gas adsorption, aerosol filtration and microbiology in evaluating efficiency of air cleaning equipment and in the removal of particulate, gas, and bio-aerosol contaminants. These air filter testing machines are made available with dust feeder fitted with SS hopper and variable drive for different handling different flow rate quantities. The system also comes with dust feeder mounted on frame and 150mm dia. ducting that is used in test equipment. Further, these test filter housing are suitable for mounting filters of 500mm in height and having inner dimensions of 400 x 400mm. Other than this, the pneumatic cylinders for clamping of test filter have stroke lengths of 600mm and for mounting of HEPA filter have stroke of 50mm. Some of the other standard specifications of these testing machines include centrifugal blower of 1000cfm and static head of 150mm, dust injector fitted AC induction motor of 3 Ph., 440 V motor, 50Hz, 7.5 HP. Dust feeder fitted with SS hopper. Fitted with variable drive for different flowrate quantity. Dust feeder will be mounted on frame. 150mm dia. ducting will be used in test equipment. Test filter housing suitable to mount filter of 500mm height & having an inner dimension of 400 x 400mm. Pneumatic cylinders for clamping of test filter having stroke length of 600mm. Pneumatic cylinder for mounting of HEPA filter having stroke of 50mm. 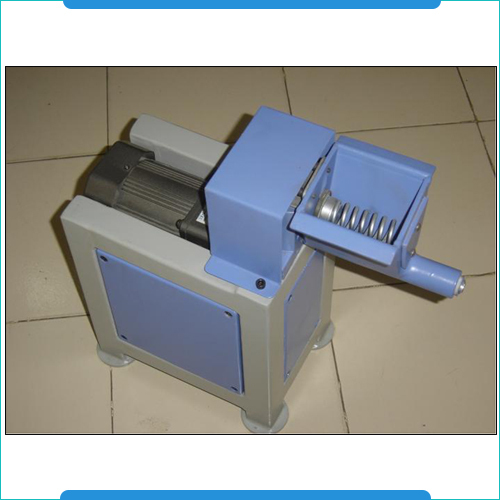 Centrifugal blower of 1000cfm and static head of 150mm. AC induction motor 3 Ph., 440 V motor, 50Hz ,7.5HP Dust injector fitted at the front. Dust feeder can be weighed on weighing scale to determine the dust fed. 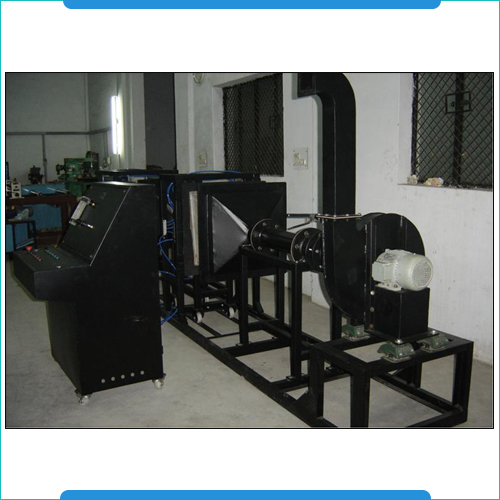 The Dust Feeders find application in areas like in Filtration Studies, Pharmaceutical Aerosols, Calibration of Aerosol Samplers and Instruments, Crop Research, Meteorology and other usage areas. These come hopper fitted with dust churning unit and having holding capacity of 4kg of dust. Further, these also feature screw based feeding in PTFE housing with screw driven by variable speed unit. Other than this, some of the other specifications include dust pick up tube with aspirator assembly, uniform dust distribution unit with hopper and variable speed DC drive unit. Capacity of hopper 4kg of dust. Hopper fitted with dust churning unit. Screw based feeding in PTFE housing. Screw is driven by variable speed unit. Dust pick up tube with aspirator assembly. Uniform dust distribution unit with hopper. Variable speed DC drive unit.